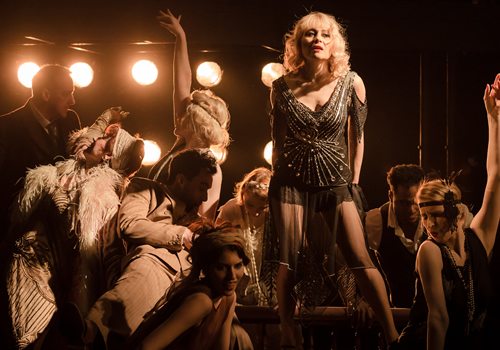 Tony Award-winning actress Frances Ruffelle stars in a brand new production of Michael John LaChiusa’s 2000 Broadway musical The Wild Party at the newly rebranded The Other Palace – formerly the St James Theatre. Olivier Award-winner Drew McOnie (In the Heights) directs and choreographs the musical, which opened in February 2017. 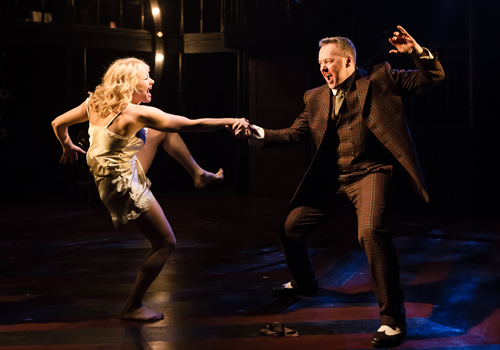 Based on Joseph Moncure March’s 1928 poem of the same name, The Wild Party is the rarely-performed musical that follows vaudeville couple Queenie and Burrs, as they plan a crazy party at their Manhattan apartment. Featuring an array of bizarre New York guests, the musical is presented through a number of vaudevillian sketches that deteriorate as the evening wears on. As the party reaches a tangible climax, truths are exposed, questions are fired and drunk debauchery turns into a sobering tragedy. Best-known for originating the role of Eponine in the 1987 Broadway production of Les Miserables, for which she earned a Tony Award, Frances Ruffelle has garnered extensive stage credits. Her West End credits include Pippin at the Menier Chocolate Factory, Starlight Express, Chicago and most recently The A to Z of Mrs P at Southwark Playhouse and Piaf at Leicester Curve Theatre. Further casting includes John Owen-Jones (Les Miserables) as Burrs, Victoria Hamilton-Barritt (Murder Ballad), Ako Mitchell (Ragtime), Lizzy Connolly, Bronte Barbe, Dex Lee, Tiffany Graves, Donna McKechnie, Melanie Bright, Simon Thomas, Gloria Obianyo, Genisis Lynea, Steven Serlin and Sebastian Torkia. 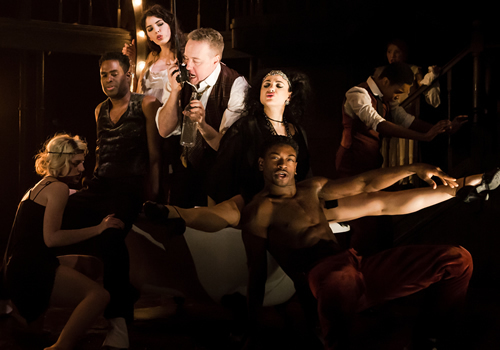 Directed by Drew McOnie, whose recent credits include Bugsy Malone at the Lyric Hammersmith, Jesus Christ Superstar at Regent’s Park Open Air Theatre and Jekyll and Hyde at the Old Vic, The Wild Party is the first production to take place at The Other Palace, under the venue’s first Artistic Director, Paul Taylor-Mills. Purchased by Andrew Lloyd Webber, The Other Palace is to become a home for new and lesser-performed musicals. 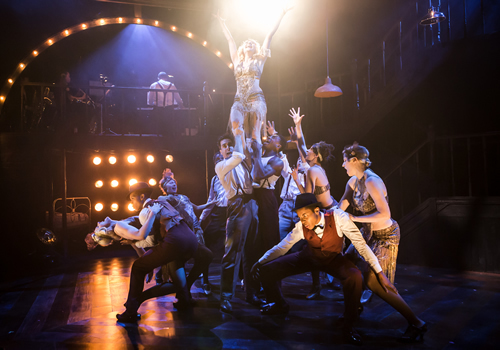 The Wild Party began its run in February, playing a limited run until April 2017. The Wild Party is not suitable for young children.